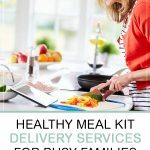 Are Meal Kit Delivery Services Right for Your Family? 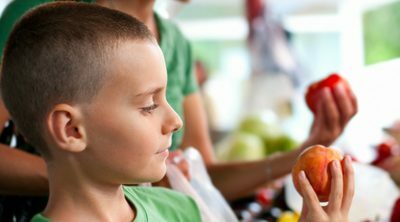 If you’re like most parents with a busy family, you probably save your last bit of energy each day for the kids’ activities and trying to come up with a healthy dinner. 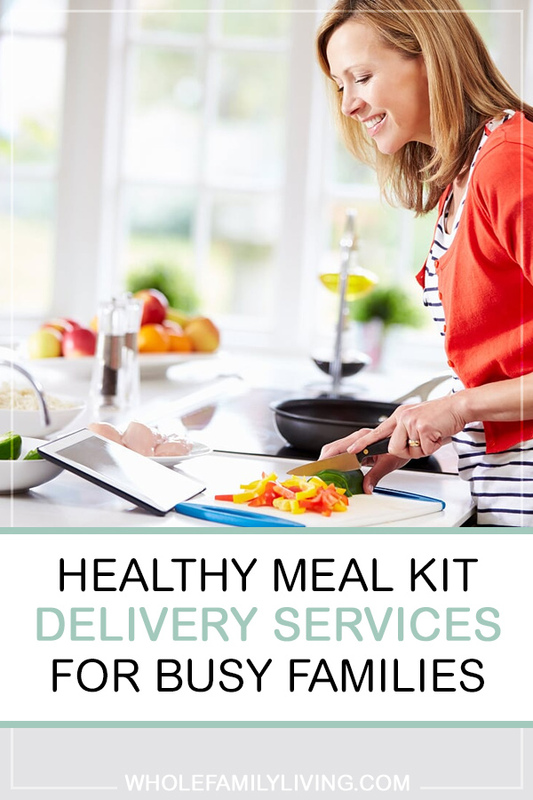 You may be growing tired of the daily 5 o’clock dilemma, “What’s for dinner?” Maybe you’ve even considered trying one of the healthy meal kit delivery services for busy families like yours. After working a full day the last thing you probably want is to come home without a plan for dinner, and then choose between A. cooking an entire meal from scratch which is extremely time-consuming or B. opting for unhealthy drive-thru food or takeout, again. If we lived in the perfect world, you’d always have plenty of time to plan out healthy meals for the week, make a complete shopping list, be able to find everything on your list at one grocery store, and effortlessly prepare healthy meals that everyone in the family raves about. But that’s not usually the reality, is it? Fortunately, you have options. There are companies out there taking much of the stress out of preparing healthy meals for busy families. Have you heard of meal kits? These services can be a real time-saver for preparing healthy (and fast!) meals that the whole family can enjoy, with little planning or effort. These meal delivery kits make cooking fast and easy as everything needed to make healthy meals is shipped to your door-step. And the best part is that in most cases the ingredients are pre-portioned, chopped and ready-to-go. 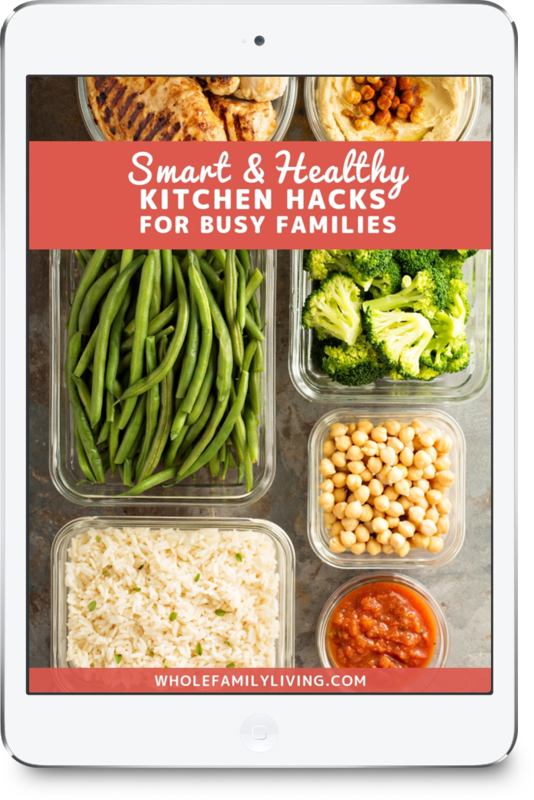 Just cook and everyone in the family can enjoy healthy meals throughout the week! Reason #1: You’ve fallen off the meal planning wagon. Reason #2: To skip a few steps. You enjoy cooking but sometimes the whole process of prepping, chopping, and cooking can be a bit too much. You’d love to still cook healthy meals at home but want a way that you could cut down on time in the process. Reason #3: You have a busy family schedule. You have a lot of extra stuff on your plate. You’re just extra busy right now. Let’s face it – life gets busy. There’s not always time to follow through even when things are planned in advance. How does the old saying go? Even the best-laid plans can go awry sometimes. If you’re meal-planning your little heart out but not always able to execute, it may be time to change course. You’re tired of your usual meals. Perhaps you’re just bored with the same batch of meals every week, and your family is also letting you know they’re looking for a change. Meal kits can be a great way to get out of a cooking rut and discover new recipes to spice up your cooking routine. Reason #5: To put healthy meals on auto-pilot. What if this whole “cooking” thing could be automated? You’re tired of planning the meals, shopping for items, and cooking. You’re wondering if there’s an easier way to get healthy meals on the table without all the complications. Reason #6: To Free up time. 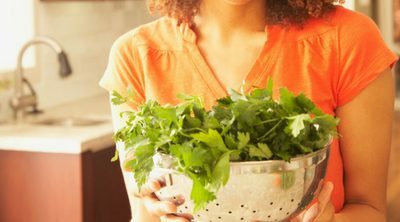 Are you looking for ways to reclaim “me” time by spending less time in the kitchen without skimping on quality meals? Meal kits are a true time-saver for the busy parent who wants to keep healthy meals on the table every day without all the time-consuming prep work. Reason #7: To Avoid waste. You’re throwing out food every week. You may be prepping but find that you’re throwing away food every week that doesn’t get eaten by the family. Reason #8: To teach older kids to cook. Maybe you have kids at home who are technically old enough to help with meal planning but it just hasn’t happened yet. 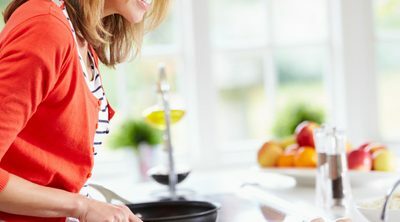 Meal kits offer a great starting point to teach your kids age-appropriate ways to get involved in the kitchen and become more conscious about eating at home! Most kits include step-by-step recipes and instructions that older kids can follow. Be sure to supervise! Reason #9: To reduce your stress level. If you’re constantly worried about what’s for dinner, now you have an easy solution that will still ensure that your family is eating healthy. You’ll have peace of mind knowing that everything you need for healthy family meals will be delivered to your doorstep, ready to cook. No more mad dashes to the supermarket after work and then rushing to throw together a meal, or (even worse) picking up take out. If any of these reasons sound like something you’re going through, it may be time to check out other options for preparing healthy meals. Meal kit delivery services are now offering more family-friendly recipes and subscription plans for busy families of all sizes. Everyone can benefit! Cuts down on time in the kitchen. Most kits deliver fresh ingredients; some organic as well. Can dramatically reduce time in the kitchen, while still providing healthy meals. So easy, even culinary newbies can prepare a tasty meal. Gives the family a “project” to do together. They’re fun! There’s always a surprise waiting for you in every box. Meal kit delivery services won’t help you save a great deal of actual cooking time. This type of service is truly best for those who don’t have the time or the energy to think about what’s for dinner. So while your cooking time won’t be affected that much, you will save loads of time in planning, shopping, and prepping everything for your meals each week. And reclaiming this time is where the convenience lies. 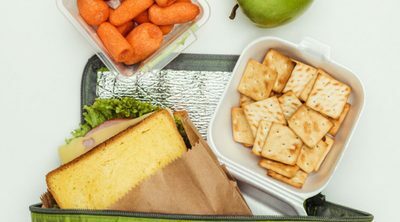 Okay, now let’s look at the top family-friendly meal kit delivery companies and what they have to offer.